When the jackassery of comics has me questioning my faith in (un)funny books, I start to reminisce of those weird days when superheroes were all about the joy and the happy and the fun. But you know what’s always fun? 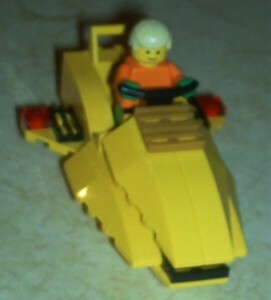 LEGO. Except for Cap’s motorcycle and shield, those aren’t my originals. They’re mostly from Bricklink purchases that I’ve been making since the Lego Batman line inspired me to rebuild my Lego collection. 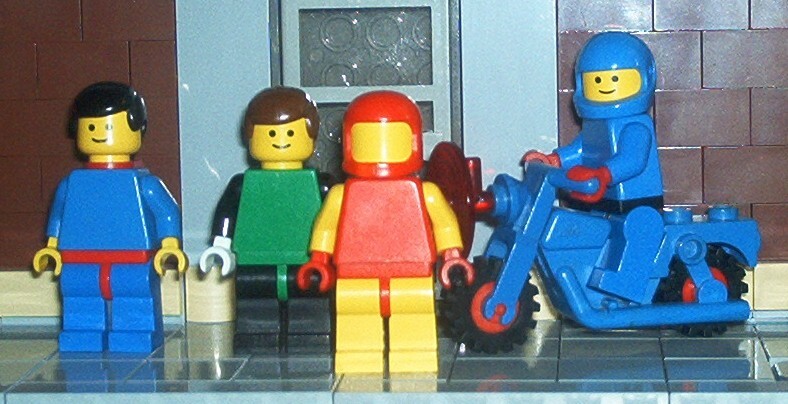 Luckily, I still have some of my original Legos since both that shield and that motorcycle aren’t that cheap any more. But I’m slowly building a little army of custom figures. Why? Because there’s something fun about it. I’ll have more pics and posts about this at a later date. Here’s a bonus pic of how Aquaman’s jet boat (based on Killer Croc’s mini prop boat) is coming along. That Green and Black lego guy says Hal Jordan all over it.I KNOW that he’ll own once your done with it.Im really looking foward to these.